10 Things To See is an online travel guide to find things to see, and to vote for your favorite places or share must-see experiences. Easily find the 10 things to see (or places to visit) around you and the best sighting places close to your holiday destination. Plan your visit by creating a custom travel guide, where you will gather your favorite places share them with your friends. Vote for your favorite places, add photos, comment on them, and offer visits or attractions that are not yet referenced. You can also report on mistakes. Les stalactites fistuleuses, véritables pailles de calcite, sont présentes par milliers dans la cavité : un spectacle unique en Europe ! Au cours de votre visite, vous rencontrerez des protées, animaux cavernicoles rescapés de l'époque des dinosaures... La gigantesque Salle de la Cathédrale vous accueillera à chaque visite pour un son et lumière, haut en couleurs et riche en émotions ! La Tour Eiffel Symbol and inescapable monument of Paris and France, the Eiffel Tower rises to 324m height for a total weight of over 10 000 tonnes (I guess this is an approximation). Made of 2 years, 2 months and 5 days, it was built during the Universal Exhibition of 1889 and celebrated its 120th anniversary in 2009. She regularly is entitled to a makeover! Machu Picchu Surely among the 10 Things to see in the world! This staple of South America does not betray the promises of childhood dreams when reaches its peak. The ideal is to walk there and arrive early at the opening of the site. But if you choose train + bus (as 95% of tourists), no one will want you up and you are left forces to explore this beautiful sanctuary legacy of the Inca empire. This place is worth visiting as much for the architectural testimony to an exceptional natural heritage and unspoilt. The train and walking are the only 2 ways to access the site. The influx is important at certain times of the year and can just spoil the fun. Machu Picchu is on the list of UNESCO World Heritage since 1983, it is located on the ridge between two peaks 2,438 meters above sea level: the Huayna Picchu, meaning "young mountain" and Machu Picchu, meaning " Old Mountain ". Start your trip here! Léo, our mascot, will guide you around the world as an online tourist guide. What is this online tourist guide? 10 Things To See is a collaborative tourist application that allows you to prepare your visits and stays by finding must see places not to be missed in a city or near a tourist destination. Let us tell you more about our story. The service lists (and moderates) content added or enriched by its members: places, photos, comments. The originality of the concept lies in the hierarchical presentation of places to visit according to individual votes. Thus, we can present Top 10 recommendations from the community in major tourist destinations such as Paris, London, New-York, Rome, Moscow, Montreal, Lisbon, Dublin, Tokyo, Lyon, Marrakech, Marseille, but ... also unmissable places such as Mont St Michel, Machu Picchu, the great Wall of China, the Grand Canyon or the Ayers Rock. In which countries and in which languages ? 10 Things To See began in France, Rhône-Alpes and ... in French. Now the service is available in 9 languages and others will follow soon. We are gradually opening the service to other countries after France: UK, USA, Canada, Russia, Mexico, Morocco, Peru, Thailand, ... And soon the rest of the world! You can find a list of all the countries covered in this page. 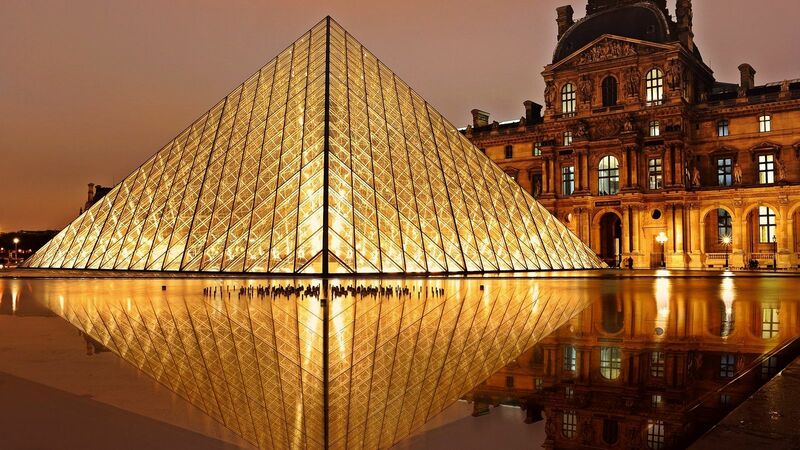 You can take part in this social network of travelers by listing must-see places in France and around the world. Adding places, photos and comments is obviously subject to Léo's (fast) moderation in order to ensure the service's quality. Once validated, you will find your additions on this Website, the iPhone application and Android application simultaneously. If you have any suggestions, do not hesitate to leave them here. If you are interested in a partnership or by the technology available in white label, please contact us.